The Hepper Pod Cat Bed will become your cat’s special sanctuary – that ideal place where your feline can curl up and sleep, hide or reign supreme. The Hepper Pod is a modern cat bed which offers the security of a mountaintop cave with way more style. It serves as your cat’s own personal sanctuary – a perfect place for curling up to snooze, hide, or show off its supremacy. Your little kitty cat will be so overjoyed with its own distinct space of seclusion and security, but most importantly, out of danger. 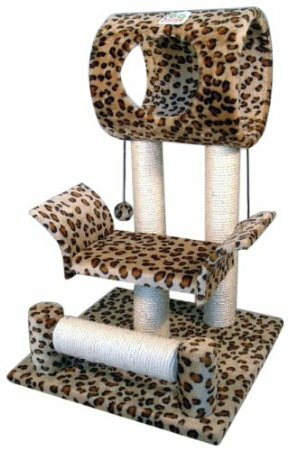 DCN Lifestyle has created this product just for a feline. 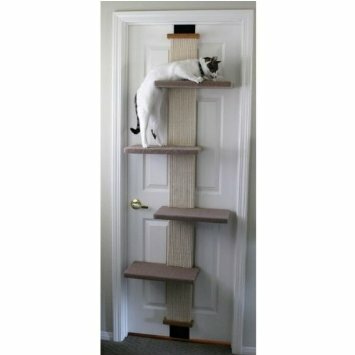 Your cat needs a place to nap; away from the general household traffic. What better way to do this than with a contemporary cat bed. Why not indulge your pet by providing a place for your feline to sleep in peace all day long? When you purchase of this bed, you will realize soon enough that this is the best buy that you could ever make. The cost is inexpensive at $199, which in comparison to other brands is quite cost effective! Although shipping fees are nonrefundable, DCN Lifestyle offers a reliable guarantee on their return policy. Once you send back the product within 21 days of purchase and it is in its initial packaging and the condition is intact, you will get a full refund. DCN Lifestyle is confident that you will be fully satisfied with your purchase so why not get to their website right away to make your purchase by CLICKING HERE. Do you have a cat or even a dog that just struts around the home looking like a ‘Diva?’ She acts as if she is in control of your domain, right? She is the mistress of the space that you assign to her. And you don’t know what to do for her in order to maintain her diva status, right? Well, you don’t have to be concerned any longer because DCN Lifestyle has created a product that will be excellent for your divine cat or dog. Your cat or dog needs one of these diva beds that this company quite nicely created. Of course, she does! If you want to modernize the way that you cat enjoys nap time or bed time, you should definitely try one of these products. It shouts comfort from thousands of miles away. Your dog or cat will enjoy the organic cotton covered bed, which is quilted and filled with complete pet fiber made from recycled water bottles. Isn’t that neat? You will also be contributing to the environment when you buy one of these products. Why not pamper your pet to sleep in peace and be on cloud nine every day of the week? She will curl up into this compact bed and feel at ease. With your purchase of this bed, you will receive a small toy for your pet, which is excellent for traveling. The product will also come in a well-designed drawstring bag. It comes in two colors: navy blue and gray. The dark color makes dirt less visible. Of course, you will clean it regularly, but not too much that it wears out. It can be washed using a washing machine or you can dry clean it. The front of the bed is designed a little lower than the back. So it is slightly tilted so that your pet can go in and out with ease. The measurement is fifty centimeters by fifty centimeters. The price is economical at $139, which compared to other brands is quite a steal! Although shipping charges are nonrefundable, DCN Lifestyle offers an iron clad guarantee on their return policy. Once you return the product in its original package and condition within 21 days of purchase, you will receive a full refund. However, the company is confident that you will be completely satisfied with the purchase so why not go over to their website now to make your purchase by CLICKING HERE.